Keto weight loss is achieved when we go beyond calories. 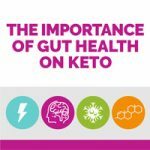 Taking a deeper look at another major contributor to your keto weight loss and keto women goals: the health of your gut. Just a couple of weeks ago, I created this video on how the gut is connected to your brain and, the choices you make when it comes to your food and nutrition. 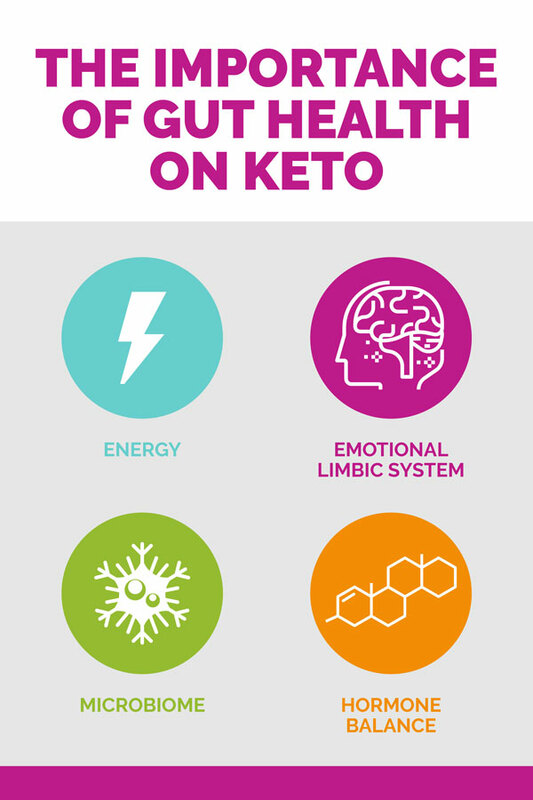 Now, before we delve in to all the ways your gut can play a role in your success on the keto diet, it’s important that I take amount to explain for those that may be new here and probably wondering, what is keto? Keto is a low-carb, high fat eating style where, when we eat less carbs we are able to slide into a fat burning state. This state allows us to burn fat as fuel, instead of carbohydrates. Now that we have that settled, let’s get to it! When it comes to weight loss, the word on the tip of everyone’s tongue is ‘calories’. The truth is, though, that weight loss is about a lot more than just how many calories you consume and burn every day. 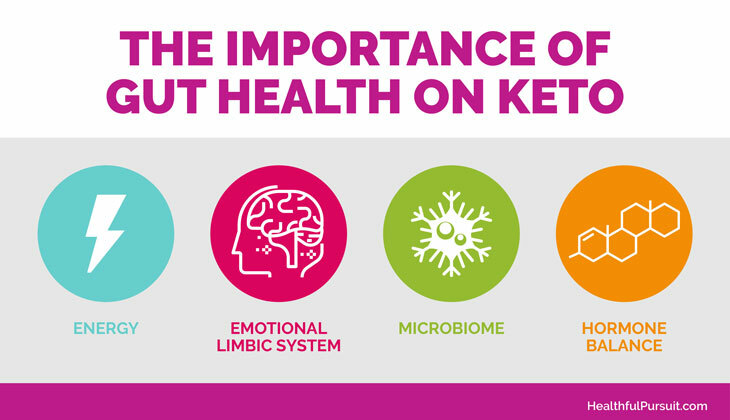 For this reason, I want to help you take a deeper look at another major contributor to your keto weight loss and keto women goals: The health of your gut. Gut health is proving to have a significant impact on each individual’s mental health. To provide you with insight around this relationship, in this post I will help you identify whether you have gut issues, show you the connection between your gut and your brain, and provide you with the next step to get your gut and mental health back on track. 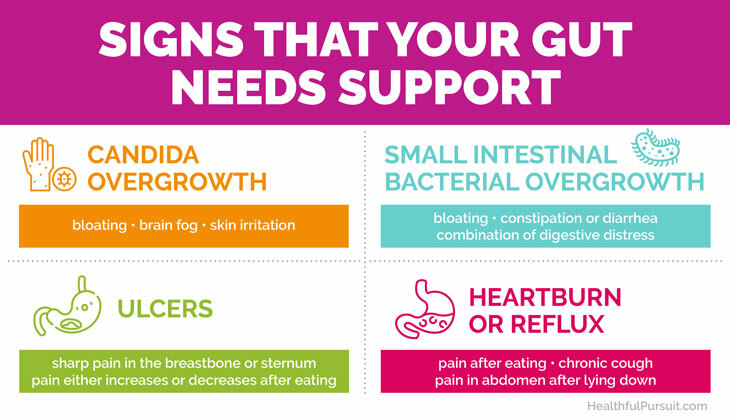 To dive deeper into the last point, even though it might first seem like a stretch to relate depression to the gut, gut imbalance often shows up in our feelings. Poor gut health might end up feeling like unhappiness or a lack of fulfillment, whether mental, emotional, spiritual, or sexual. To be more specific, mental unfulfillment that is caused by the gut could crop up as mood swings, anger, fogginess, or forgetfulness. Spiritual unfulfillment could look like hopelessness, fatigue, or a general sadness. Sexual unfulfillment could be a higher than normal libido or a lower than normal libido. It could even surface as embarrassment to discuss our unhappiness—especially when we think about ‘how much I have compared to others’. Proof of the connection that the brain and the gut have can be seen in the simple fact that the brain requires energy. In fact, in order to function effectively, the brain uses more than 25% of the energy that we consume every day. This energy consumption not only includes the food that we eat, but also how our gut digests the food. In other words, even if you are eating the right foods, if your gut isn’t doing a thorough job of digesting it, your brain won’t be getting the energy it needs. But it’s about more than just the energy that the gut provides. Our emotional limbic system is linked to our gut. This can be seen—or felt—when you are under significant stress or feel anxious. It is very likely that you could get a stomach ache or suffer from some other form of intestinal distress. And this interaction goes both ways, meaning that what you eat and how your gut digests the food can send signals to the brain. To use myself as an example, I can get moody when I eat chocolate. This moodiness could be tied to the high amount of oxalates that chocolates contain affecting my gut health. And then there is your gut’s microbiome. Your gut microbiome is the bacteria that is in your gut. If the bacteria stays balanced, it can help you stay healthy. In recent years, more and more studies have been completed on the microbiome and what differences in bacteria can mean. In animals, different types of bacteria can be found when they have been exposed to different stressors (i.e. early maternal separation, being restrained for a lengthy period of time, various social stressors, etc.). In humans, different microbiota have been found in non-depressed individuals when compared to depressed individuals. A link is growing between the presence or lack of certain bacteria and the presence of depression, anxiety, ADD, brain development, and other emotional and mental conditions. Finally, additional studies are beginning to find a strong relationship between hormones and the gut. More specifically, when gut bacteria is well balanced, cortisol is more efficiently regulated. This connection is making many health experts rethink fogginess and focus issues. While traditionally these problems were associated with fatigue or old-age, it is becoming ever clearer that digestion can play a big role. The reason for this connection is due to the makeup of the gut. The wall of the gut is thin—only a single cell in thickness. Because of this, when it is irritated it becomes hyper-permeable (i.e. leaky). This irritation can be caused by your diet, life stressors, or just a poorly balanced life. When this happens, undigested food can leak through the wall and into your body. This is not good. One of the many issues it can cause is slower brain function. These issues are further exacerbated because, in response to this gut wall irritation, the body begins to overproduce mucus in an effort to protect you. Unfortunately, this excess mucous puts your body into a precarious situation, making it difficult for your body to break down, absorb, integrate, and release what you are eating. Basically, it gets in the way of normal digestion. And when your body isn’t able to digest food effectively, it starts to break down. Inflammation starts to crop up. You will not be able to concentrate or remember information. You will struggle to focus. Basically, your body is trying to tell you that something is wrong. Frustration around your body and its ability to heal (or not) can feel really isolating. This was one of the reasons I developed The Keto Bundle, so that the isolation could stop, and women could feel liberated by their ketogenic diet, not tied down by it. The Keto Bundle combines my two best-selling programs, The Keto Beginning to guide you in discovering a whole food-based approach to keto, and Fat Fueled, outlining how to heal your body with a ketogenic diet. Get your copy of this 60-day program. Digestive issues are becoming widespread across the population. There is likely no single cause of this increase, but rather a mix of various factors. Food, though, seems to be one of the more prevalent contributors to the problem. And when it comes down to it, the microbiome and poor digestive balance are the central reasons for these gastrointestinal diseases and digestive complaints. Your overall health may be reliant on many different factors but your gut is at the base of it all. And for keto women this is exciting news. It means that you can actively work to prevent and treat digestive disorders by embracing the keto lifestyle and diet. It is a surprise to most people that our gut plays such an important role in our mental health, not to mention our total body inflammatory burden and immune system function. But the simple fact is that the gut is at the core of our capacity to break down and utilize nutrients from the food we eat. Our gut also produces additional essential vitamins and wards off foreign invaders. In short, it is one of our body’s greatest defenders and protectors. Each of us have a microbiome in our digestive tract. It is a little environment where bacteria and yeast reside—about 1 trillion of them to be exact. This three pounds of happy, nice, little microbes are crucial to the process of breaking down food, producing some of the vitamins we need, and preventing foreign invaders from harming us. In order to keep the microbiome healthy and for your body to continue to properly digesting you need to prioritize putting quality foods into your diet. This means more fiber, healthy fats, high-quality protein, and alkaline vegetables. It also means cutting out sugar. Sugar damages the microbiome and disrupts digestion. It can cause candida overgrowth and inflammation. Simply put, sugar is not great for your health. As previously stated, there is no avoiding the fact that the gut and the brain are closely related. If your gut is imbalanced, you will see it impact how your brain functions. This can be seen through the fact that the gut is responsible for making 90% of our serotonin. When the gut isn’t operating at optimum capacity it won’t be able to produce as much serotonin, leading to everything from anxiety to depression. But this connection between the gut and your health goes beyond just your mind. It is extended to the rest of your body. The reason for this is that about 70% of your immune system exists in your gut. How could the immune system stay healthy if its host is imbalanced? And when the immune system isn’t operating at its full capacity or is weakened, it opens up your body to a long list of issues. This is when infections, like colds and flus, flourish. There is also growing evidence that a struggling immune system could contribute to the progression of chronic diseases in the body. All of this though—the development of chronic diseases, the greater risk of catching the flu or a cold—is tied to inflammation. Inflammatory signals are sounded when the microbiome is imbalanced. Inflammation is initiated when there is candida overgrowth, you are eating too much sugar, your body reacts to food sensitivities, or just about any habit that causes poor digestive function. And then it is this inflammation that causes depression, joint pain, fatigue, and so much more (i.e. a number of chronic diseases). Candida overgrowth in your body could be happening if you have one or more of the following symptoms: Bloating, slight hearing issues, fogginess in thinking, light to heavy sinus problems, skin irritations and other issues, or trouble losing weight. You should consider SIBO (small intestinal bacterial overgrowth) if you have one or more of the following symptoms: Bloating (this will be bloating that is extremely noticeable, making you look pregnant), constipation, diarrhea, a combination of constipation and diarrhea, heartburn or reflux, higher frequency of passing gas or burping, nausea, or pain in the abdomen. You might have a peptic ulcer or a duodenal ulcer (with H. Pylori or without) if you have one or more of the following symptoms: A sharp pain at the bottom of your breastbone or sternum, increased or decreased pain with food consumption (i.e. eating either makes you feel better or worse), or a worsening in the sharp pain when stress arises. Heartburn or reflux could be a problem your body is facing if you have one or more of the following symptoms: Pain that crops up after you eat, a chronic cough that isn’t due to smoking or lung disease, or pain in your abdomen that is worsened when lying down. There is no quick solution to any of the previous problems. However, to help get your body get back on the right track, here is one actionable item that I suggest implementing right away: drink one cup of bone broth each day or add half a cup of sauerkraut to your meals each day. Also, here’s a video I did awhile ago about the 7 keto foods your gut needs. If you face any of the above issues, trying out a ketogenic diet could play a big role in helping you recover. If you are already relying on keto woman weight loss and you are still facing these issues you might want to take a look at your macronutrient proportions and consult your doctor. Getting your gut on track towards a balanced digestion and microbiome is one of the ultimate ways to ensure your short-term and long-term health. A lifestyle that promotes this will not only keep your immune system protected, it will also protect your mind. I encourage you to find out more by exploring the ketogenic approach, taking a peek inside our community, and doing some research. You can find some helpful links to the latest science here, here, and here.